If you are charged with a misdemeanor or felony retail fraud, call Michigan’s top Retail Fraud Defense Team for a Free Consultation – We Have an Unparalleled Track Record of Success. 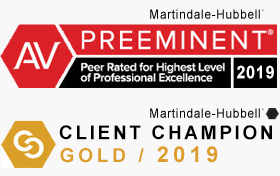 We have been successfully defending and protecting clients for decades. We can help you . . . here is how. Retail fraud is one of the most common criminal offenses charged in the State of Michigan. Retail fraud is more commonly referred to as shoplifting. The consequences of a retail fraud conviction can include jail, prison, extensive probation, community service, therapy, drug and alcohol testing, fines and costs. The defense lawyers with LEWIS & DICKSTEIN, P.L.L.C. have extensive experience defending retail fraud charges and our highest priority is to obtain a dismissal of all charges when possible. To prove a charge of retail fraud, the prosecution must prove several elements beyond a reasonable doubt. Aside from the value of the property, the elements of retail fraud are identical between first, second and third degree retail fraud. What would otherwise be a retail fraud second or third degree can be enhanced or increased to a felony retail fraud first degree if the defendant has prior retail fraud convictions. Just because someone is charged, does NOT mean that he or she must be convicted. There are ways an experienced lawyer can help you avoid a conviction and jail. The Retail Fraud Defense Lawyers with LEWIS & DICKSTEIN, P.L.L.C. 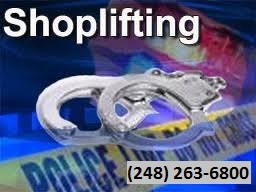 have handled hundreds of retail fraud cases throughout Michigan. We understand that a conviction for retail fraud can be life changing in a tragic way and everything humanly possible must be done to get a charge dismissed or reduced when possible. What about those individuals who are not United States citizens? LEWIS & DICKSTEIN, P.L.L.C., has represented a multitude of clients who were not citizens of the United States and are facing deportation or other immigration consequences. Retail fraud is considered under immigration law to be a crime involving “moral turpitude” which can result in deportation. When other lawyers claim to know how to help, we have extensive experience and a track record of helping in these difficult situations. Will You Have to do Jail or Prison Time? One of the most common questions that are asked during consultation with potential clients in retail fraud cases is whether the client will have to serve jail time. The answer to that question is complex and dependent upon a multiplicity of factors but the retail fraud criminal defense lawyers with LEWIS & DICKSTEIN, P.L.L.C. can almost always help their clients avoid any jail or prison time in retail fraud cases. Most people charged with retail fraud receive a ticket upon being released from police custody. Most tickets direct the defendant to appear for an arraignment within 10 or 14 days. You do not want to go to the arraignment without a lawyer! In most cases, the defense team with LEWIS & DICKSTEIN, P.L.L.C. can take care of the arraignment without the client and save you an unnecessary and unpleasant trip to court. Call us and we will find a way to help you. If you or a loved one is charged with or being accused of committing a retail fraud, call (248) 263-6800 for a free consultation with a highly experienced retail fraud defense attorney. Feel free to fill out a Request for Assistance Form and we will promptly contact you. 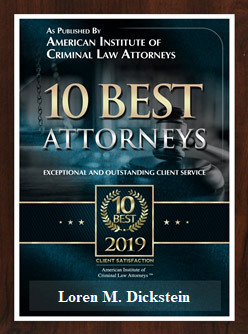 The team approach used by LEWIS & DICKSTEIN, P.L.L.C., involving the collaboration and coordination of a team of highly experienced defense lawyers, routinely achieves extraordinary results. We can often help our client avoid a conviction and jail time. When the stakes are high and there is no room for errors or false promises, we are prepared to defend and protect you.